In the heart of Paris, in Saint-Germain-des-Pr�s, the hotel welcomes you in a design, contemporary d�cor. Benefit from a truly friendly setting, close to famous Caf� de Flore. All the rooms provide an atmosphere of relaxed modern luxury. After a hectic day spent working or visiting the French capital, enjoy the brand-new wellness area dedicated to sport and relaxation. Everything has been designed for your comfort and well-being. 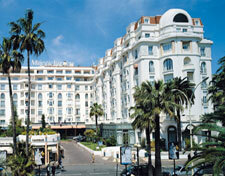 The CANNES-PALACE HOTEL**** is a modern building with 130 spacious rooms, located 200 m from the sand beaches of the glitzy Croisette with its exclusive shops and beautiful marinas. Your room is well-equipped: air conditioning, heating, satelitte TV, private safe, mini-bar, complete bathroom, hairdryer. The hotel has two elegant dining rooms, four elevators, Synagogue on site, bar lounge, fitness center, outdoor swimming-pool, sun terrace, table tennis. 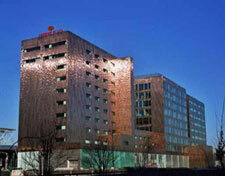 The Crowne Plaza Lille-Euralille hotel with its contemporary design, combines top of the range comfort and services. 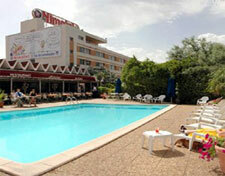 This 4 star hotel offers 121 bright, air conditioned and spacious tastefully decorated rooms with panoramic views. Our hotel, freshly redecorated is situated in the heart of Lille, its shopping areas, business district, and only walking distance away from the Lille Europe Eurostar train station with easy access to the main highways leading to Paris, Reims, Brussels, Dunkerque and Calais. Nice, economical and cultural centre of the French Riviera, widely renowned for the clemency of its climate and warm welcome, is a destination that greatly combines business and leisure. May your stay be for business or leisure, in winter or summer, the hotel Four Points Sheraton Elys�e Palace is the ideal place to enjoy Nice in all its possible ways. The legendary explorer Archibald De Bacle welcomes you to his mansion filled with treasures, mysteries and adventures. The crew rooms can fit up to 4, 6 or even 10 persons! Thanks to a cunning system of interconnecting doors, the Crew Quarter's can be arranged to provide accommodation for 4 people (one crew room), 6 people (one crew room + an extra bunk room) or 10 people (two crew rooms + one extra bunk room). 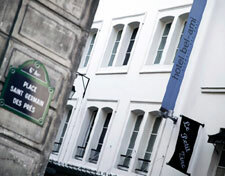 The Hotel Express by Holiday Inn Paris Place d'Italie is located in the heart of the 13th arrondissement on Paris Left Bank...the ideal starting point to discover the authentic side of Paris. 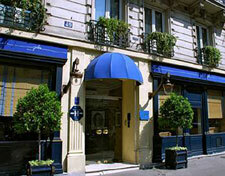 Within walking distance you can immerse yourself in original Paris ambiance of artists and writers. Village de la Butte aux Cailles district is home to artists, charming cafes and quaint neighborhood restaurants. 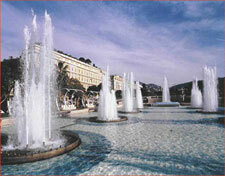 Whether it is a weekend retreat or longer stay, Grand Hotel Aston Nice emerges to be the upscale getaway ideally suited for guests seeking a space, privacy, style and luxury.Ideally located in the heart of Nice, this property lies opposite the gardens and fountain of Place Massena. 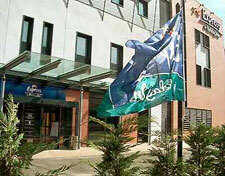 The hotel is just a stone's throw away from boutiques, casino and the old town. Beautiful beaches are only 5 minutes away, while the Acropolis Conference Centre is about 10 minutes drive from the hotel. 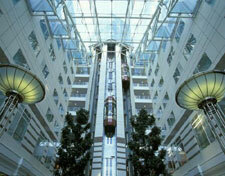 The modern Hilton Paris Charles de Gaulle Airport hotel is just 5 minutes by free shuttle from the airport. 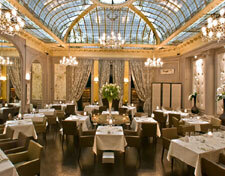 Do business in one of 24 meeting rooms before dining � la carte at Les Aviateurs restaurant. 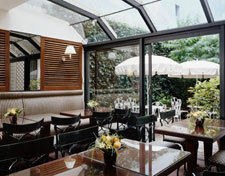 Unwind with a swim or opt for an aperitif at La Caravelle under the glass atrium. 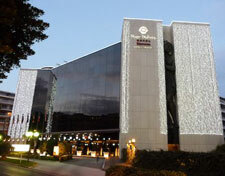 The hotel has 24 meeting rooms for 2-850, a business center and Executive Lounge. 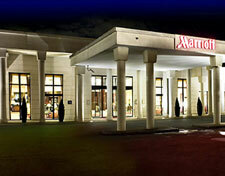 Contemporary Hilton Guest Rooms, Deluxe Rooms and Executive Rooms all have high-speed internet access. Executive Rooms have Executive Lounge access. 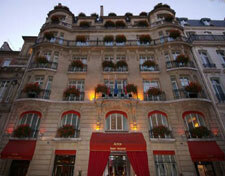 Hotel Jules, a new Parisian location with a great reputation�thanks to it�s very personal style. A charming hotel with personality, the design is inspired by the 1950s, 60s and 70s, revamped with a contemporary touch. Uncomplicated, with a no chip on its shoulder allure � playful in its style, Hotel Jules is a chic boutique hotel in an area of the city which is 100% Parisian which is one of the trendy areas to live and be and close to lots of tourist attractions. Jules has 101 rooms and 6 suites. This legendary Majestic Hotel epitomizes the Cannes Film Festival and is popular with celebrities from all over the world. 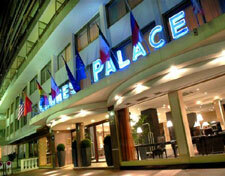 Discover the timeless luxury of this palace- like hotel. This family establishment was built in 1926. Opulent lobby decor showcases tapestries, Neo-classical lusters, and chandeliers. Thanks to celebrities who visit from all over the world, the hotel is a popular choice during film, music or advertising festivals, while at other times it draws well-heeled leisure travelers and conference-goers. 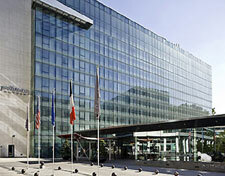 The Paris Charles de Gaulle Airport Marriott hotel is located 2 kilometers away from Paris France Charles de Gaulle International Airport, 10 minutes from the Villepinte convention center and Le Bourget airport and exhibition center. Wireless internet in public areas, air conditioning in the hotel rooms, safe large enough for your laptop, this Paris CDG Airport hotel offers transfer service from Roissy-en-France's Charles de Gaulle airport. Located in Nimes and 3.5 kilometers from the 'Arenes', the Best Western Nimotel marks the meeting point of three regions- 'Provence', 'Camargue' and 'Cevennes'. We are a modern three-star hotel, located in the heart of a 1.5 acre wooded park, with 179 air-conditioned, calm and spacious guest rooms, spread out in four buildings. 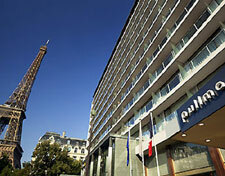 The first-class Pullman Paris Bercy hotel is at the heart of the Bercy Village pedestrian complex. A stone's throw from the Grande Biblioth�que & Palais Omnisport stadium and close to the Bastille & Marais districts, the hotel is 7 mins from Madeleine church by subway. The 19,375 sq. ft. modular convention center, equipped with the latest state-of-the-art technology, will accommodate your meetings & events. Contemporary decor and large, bright and elegant public areas provide all the comfort you'd expect. 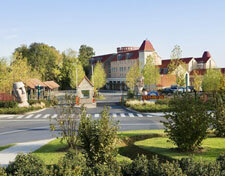 Evian Royal Resort is on 42-acres of spectacular parkland in the heart of France's Evian-les-Bains. 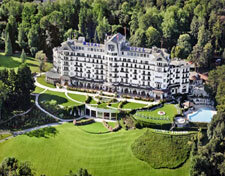 Located in a historic French town that bestowed its name on the popular mineral water, the Evian Royal Resort offers visitors two distinct hotels and spas. The Hotel Royal, a grand Edwardian style hotel overlooking the glistening blue water of Lake Geneva, is home to the Spa Evian Source, a full-service spa facility created to help guests reconnect and rejuvenate mind and body. In the heart of historic Paris Nestled between three of the most famous squares in Paris: Concorde, Vend�me and Madeleine, the Castille Paris benefits from an exceptional location in the heart of historic Paris at number 33 in the famous Rue Cambon. The present Rue Cambon was built in 1719, joining the Jardin des Tuileries to the great boulevards. At that time, typical large 18th century private residences surrounded large courtyards. In 1910 Coco Chanel established her first workshops, which are still there today, at number 31, thus gaining world-wide recognition for the street in the 20th century. Early 20th century architecture meets 21st century comfort at Hotel Vernet where a true sense of elegance and tradition lie behind an impressive period fa�ade, just steps from the Champs-Elys�es. This relaxing haven has a gourmet restaurant with a magnificent leaded-glass cupola by Gustave Eiffel. The atmosphere is warm and intimate. Elegant red velvet chairs, parquet floors, chandeliers and plush fabrics blend with contemporary touches in the rooms and suites. Located in the 6th district one of the most elegant part of the left bank, this hotel is only one block away from the Montparnasse district with plenty of restaurants, cafes, cinemas and brasseries. Each of the 50 bedrooms, tastefully decorated and newly refurbished is equipped with en suite bathroom, satellite color television, radio-alarm clock and direct-dial telephone and of course, air-conditioned. 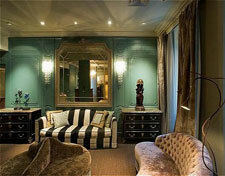 A la villa des Artistes, is a little artists' haven in Montparnasse for those who wants to stay in a different hotel. Even the very appealing name " villa" calls for an intimate atmosphere.